At Our Lady of Lourdes, we believe that it is our responsibility to help others less fortunate than ourselves. We do this through different events to raise money and resources that we can donate to different charities. 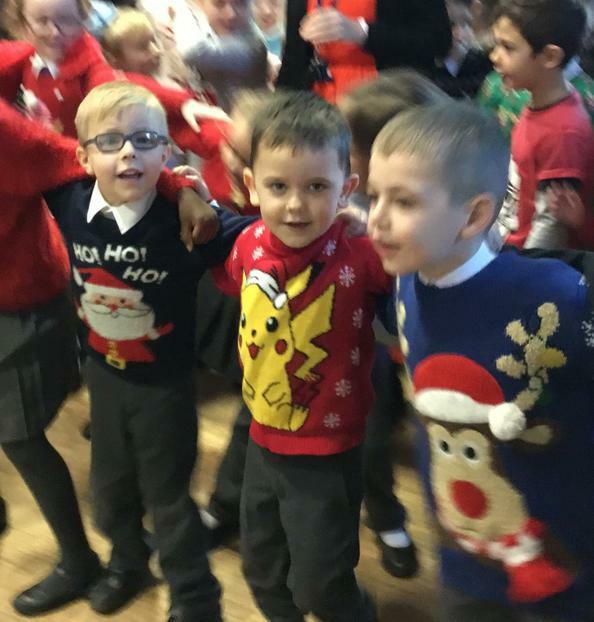 On Friday 15th December we all donned our Christmas jumpers to raise money for the charity Save the Children. In total we raised £90 for this worthy cause. At Our Lady Of Lourdes we recognise the importance of supporting those in the local community who are not as fortunate as ourselves; this is underpinned by our values of kindness and responsibility. Each year we have a Non-School Uniform Day in November. Rather than paying money, the children are asked to donate a bottle in exchange for wearing what they want. These are then raffled off on the Bottle Stall at the annual Parish Christmas Fair. The parish then use the money raised from this to help others. For Children in Need 2017, we came to school dressed in something spotty or our pyjamas in exchange for a £1 donation. We also brought in any old £1 coins which we had lying around at home. 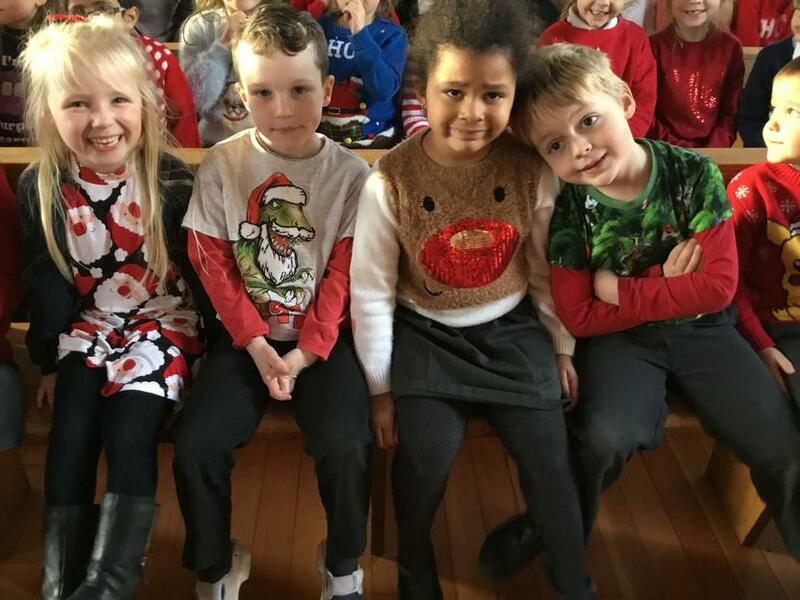 Prizes were given for the best outfit in each class; these were presented by a member of the Lloyds Bank team who kindly donated the prizes to the school. This year we raised an amazing £229.35 which Lloyds Bank then matched giving us a grand total of £458.35!! During September the islands of Dominica and Guadeloupe were hit by one of the terrible hurricanes that swept through the Caribbean. Many members of Our Lady of Lourdes family have family on these islands and as a school we wanted to do something to help. We therefore sent our harvest donations overseas to help them.